Welcome to Hawaii’s Volcano Circus website. 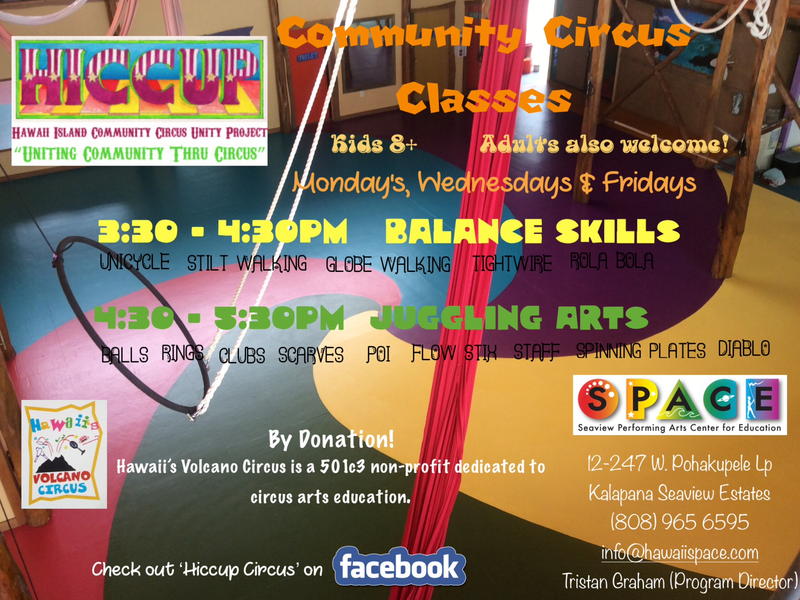 Hawaii’s Volcano Circus is a non-profit 501(c)3 circus arts education and performance organization. We provide programs that maintain and enrich our longstanding community of circus performers and appreciators. 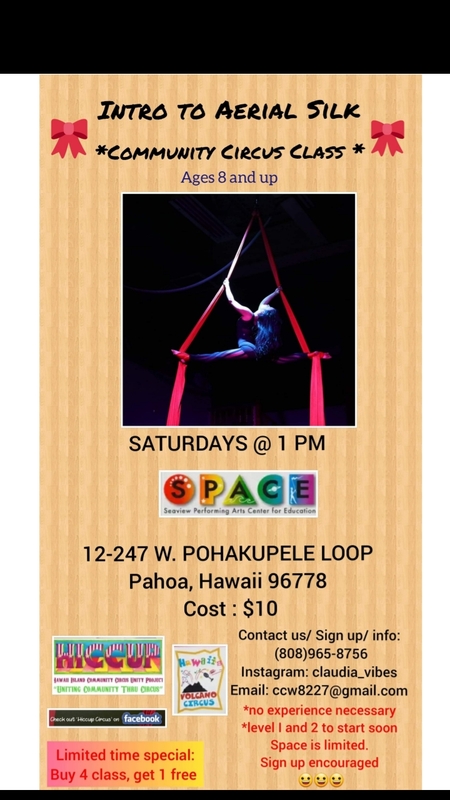 Most of our programs take place at the Seaview Performing Arts Center for Education, commonly called SPACE: 12-247 W. Pohakupele Lp, Kalapana-Seaview Estates. Here we have weekly performing arts programs for children and adults of all ages. We also have many different workshops, series and day camps throughout the year. 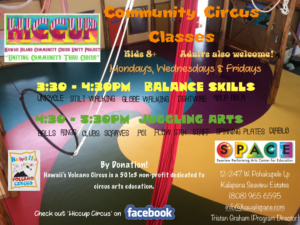 Cmmunity Circus Classes:- Since the new eruption of the Kilauea volcano East Rift in May, we have had our regular schedule disrupted. It is a new start for our circus community and we are determined to up another circus performing troupe together from our local community! Monday, Wednesday and Friday afternoons we are training unicycle and juggling skills as enjoyable activities and to perform at local events to raise money for programs and to maintain SPACE. Classes are hosted by Tristan Graham and are by donation. Learn and practise the beginner level conditioning, tricks and performance sequences for aerial silk. Appropriate for kids 8+ and adults. Instructed by Fly Clauida. 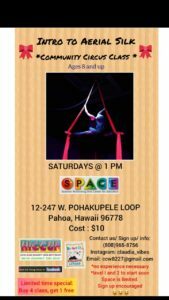 12-247 West Pohakupele Loop Pahoa, Hawaii 96778, USA.